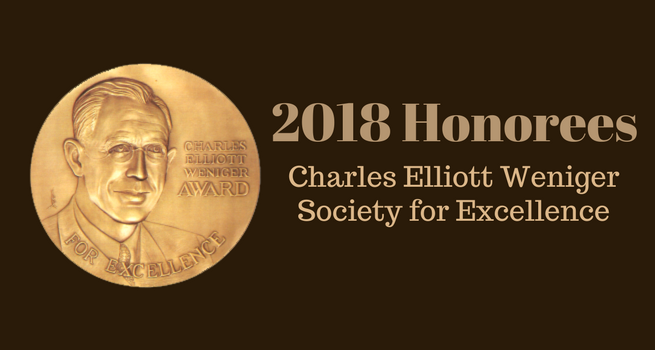 Lyn Behrens, Douglas Clark, Richard Rice, and Ella Simmons will be honored by the Charles Elliott Weniger Society for Excellence at its annual awards ceremony February 17, 2018. The awards for excellence are given in honor of the memory of Dr. Weniger, the former dean of the Seventh-day Adventist Theological Seminary at Andrews University. Lyn Behrens, a pediatrician who became the president of Loma Linda University and its health care system of hospitals now known as Loma Linda Health, served 17 years as president ending in 2008. It was the longest term for any president in Loma Linda’s history and was marked by an “unswerving” commitment to both the “spiritual dimension of healthcare” and the “denominational identity” of the university. Behrens oversaw a major reworking of the institution’s administrative structure during her term. Her leadership also led to expansion of the university and four new medical centers, plus a number of international outreach efforts, such as developing and upgrading hospitals in China and Afghanistan. Archaeologist Douglas Clark currently is leading a multi-national team of archaeologists and antiquities officials from the United States, Italy, and Jordan in preserving some of Jordan’s rich cultural past with the creation of the Madaba Regional Archaeological Museum at the Madaba Archaeological Park West. Clark has led excavations at the Madaba Plains for many years in addition to his academic position as associate dean at La Sierra University’s H.M.S. Richards School of Religion and before that at Walla Walla University. He also has served as an administrator for the American Schools of Oriental Research. Theologian and author Richard Rice pioneered the Openness of God movement within Christian theology with his 1980 book The Openness of God: The Relationship of Divine Foreknowledge and Human Free Will. For many years he taught at La Sierra University. Currently he is a professor at Loma Linda University’s School of Religion. In 1985, he wrote The Reign of God: An Introduction to Christian Theology from a Seventh-day Adventist Perspective, the theological textbook used in many Seventh-day Adventist universities. Other books include the 2002 title Believing, Behaving and Belonging: Finding New Love for the Church; and most recently Suffering and the Search for Meaning. In 2005, Ella Simmons was elected a vice president of the General Conference of Seventh-day Adventists. She is the first woman to hold that position. As a General Conference Vice President, she chairs the board of the Adventist International Institute for Advanced Studies in the Philippines. She is also vice-chair of the Adventist Accrediting Agency, and vice chair of the Adventist Development and Relief Agency. Earlier in her career in higher education administration she held positions at Oakwood University, and La Sierra University where she was the Provost before being elected to her current position. In the 43-year history of the Weniger Society over 170 individuals have been honored for their contributions to the Seventh-day Adventist church and society.